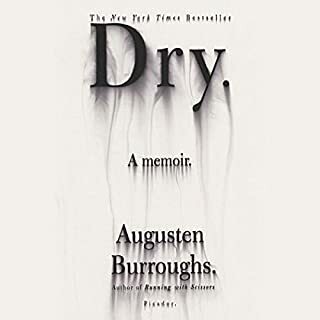 The instant New York Times best-seller from renowned author Augusten Burroughs. From the beloved #1 New York Times best-selling author comes an intimate look at the driving forces in one man's life. Funny, sweet, alarming, and ultimately, moving and tender, Lust & Wonder is an experience of an audiobook that will resonate with anyone who has loved and lost and loved again. What disappointed you about Lust & Wonder? 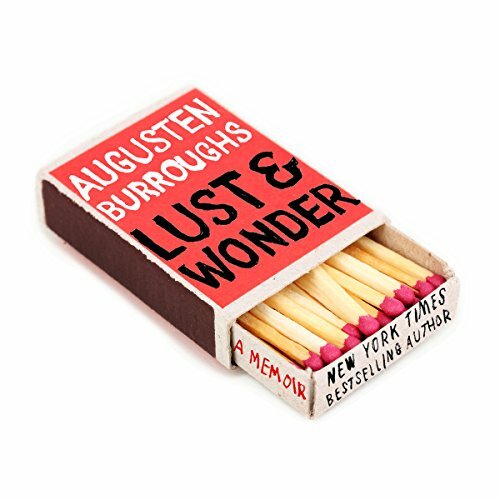 Let me preface this by saying that I was so excited to see a new Augusten Burroughs book coming out, that I actually put a note in my calendar to purchase this title on the release date. That said, this book was a huge disappointment. This book reads like a series of long journal entries, but not in an intimate or entertaining way. Rather, it feels like the author sits in front of his computer all day (he actually admits as much) and then writes down EVERY SINGLE THOUGHT that comes into his mind. Some of it is funny, mostly because the author is a very funny writer, but much of it feels like a big, "So what?" For example, long sections detailing conversations about nothing that go nowhere. Dog walks, boring dates, random thoughts -- all of these are given equal weight. Additionally, there is much too much here that is rehashed from previous books, notably "DRY." What was most disappointing about Augusten Burroughs’s story? Toward the end, he writes that he has squandered much of his fortune on online shopping. 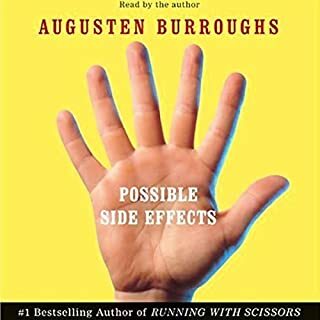 This is funny (for the reader) and also well within bounds for the Augusten Burroughs many of us have grown to love over the years. BUT long before he revealed his financial problems, I found myself wondering if this book was simply a way for him to make a quick buck. There is simply no story here -- nothing at all that needs to be told. The Brilliantly Offbeat New York Gay Writer Who Dates has been done much better by others. The author also admits that he has not read a book in 10 years. Unfortunately for the reader, this lack of interest in anything other than himself and his endless navel gazing shows. His self-absorption has been done to great comic effect in past books, but now it just feels tired. For the first time ever in reading one of his books, I felt a bit sorry for the people in his orbit -- it's not his "crazy" that is tiring, it's his narcissistic self interest. Which character – as performed by Augusten Burroughs – was your favorite? Augusten being AUGUSTEN has always been my favorite character...at least until now. Augusten's performance is always good. He knows how to read his own writing and wring out the funny bits for all they are worth. My opinions won't prevent die-hard fans from purchasing this title. That's ok, because die-hard fans will probably find something to love here (I did get a few laughs out of it). 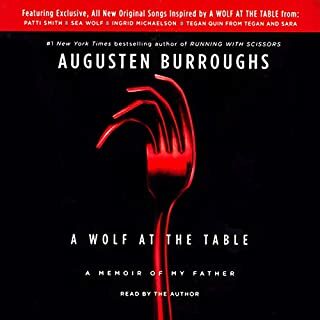 But if you are not already a fan or this is your first outing with Augusten Burroughs, I would suggest that you read almost any one of his other books first (though maybe not "Wolf at the Table"). Man, can these two brothers (Augusten Burroughs and the author of Switched On, John Elder Robison) write! 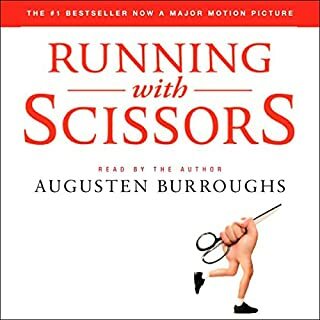 This book was my first Burroughs; I've never even read "Running With Scissors," although having enjoyed this one so much, I plan to listen to that book next. 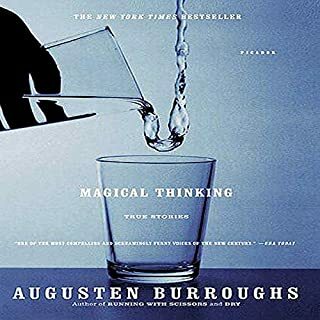 Burroughs has a somewhat snarky tone that takes a few minutes to get used to, and occasionally, although he's reading his own words, he reads as if unfamiliar with the material (listening at 1.25x speed helps). But once you realize how hilarious he is--sort of a cross between David Sedaris and classic hetero bad-boyfriend storyteller Matthew Klam--and see how many of his relationship issues and observations have universal applications we can ALL relate to, you'll love it. You'll laugh out loud, you'll cry, you'll hear a firsthand 9/11 story and a genuinely impossible-but-true happy ending, and above all, you'll never look at gemstones the same way again. It’s sad to watch the downward spiral of a literary career after such bright starts like RUNNING WITH SCISSORS and DRY. Once a memoirist with a wicked humor about the tragedy of life and a sense of recovery, all that he writes now are self-indulgent stories about his life with no real heart. They’re attention seeking in the worst way. He’s become more and more shallow as a writer which is the opposite of what you want from a memoirist. A great example of what happens when your “sober” but still self-absorbed and replacing one addiction for another. I swore his last book would be the last time I read him, but figured I’d give it one more shot. I won’t make that mistake again. It goes on and on and nowhere. Other people have said it; it just sounds like he is rehashing his failed relationships over and over again. His personality, which I once found really quirky and funny, just came off as immature and bitchy. I loved Augusten's DRY which had a story and a point, but this latest opus is just stringing on words. He is a gifted wordsmith, but after a while you realize there is nothing there, no story, just a flow of words. Half-way through the book I began skipping forward - first by 30 seconds, then by 5 minutes, then by chapters. Until this one. It's really boring. Like listening to a friend talk on and on about his relationships and never asking how yours are. Which is of course how listening to a memoir would be. Except this is just so lackluster. Or maybe it's Augusten's voice. And constant ridiculing of other people. I just found this annoying and I couldn't wait for it to be over. Maybe I've matured and aged out of this type of writing. The affection he displays for his partner is quite nice I do say. I really liked Dry so was excited to try another Burrows. This one was tedious and made me want to shout "if you're so unhappy in this relationship just get out already!" I think there's only so much in one person's life that can be made into memoir. That said, I do like Burrows writing and will likely listen to another! 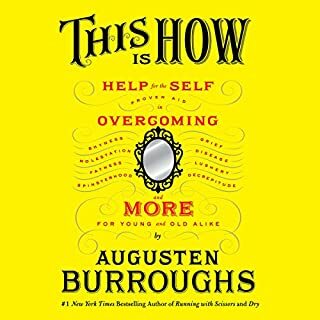 What does Augusten Burroughs bring to the story that you wouldn’t experience if you just read the book? Hearing him read his own work is very intimate. You feel like you just ran into an old friend after not seeing them for 20 years. Augusten Burroughs' new novel is a treat for his longtime fans. It's his most personal and honest writing so far. It's not as lurid as Running With Scissors or as inspiring as Dry. It's meant for people like me, who love his voice and can't get enough of his writing. He narrated the audiobook so it makes it seem even more intimate. Open and precise, but never self-indulgent, a gorgeous, finely crafted portrayal of how who we are and what was done to us shapes how we love, and how we let others love us. Was delighted by the (happy) ending!